Here’s what’s up in the world of TV for Tuesday, May 23. All times are Eastern. Brooklyn Nine-Nine (Fox, 8 p.m.): Tuesday is playing host to a bunch of finales. 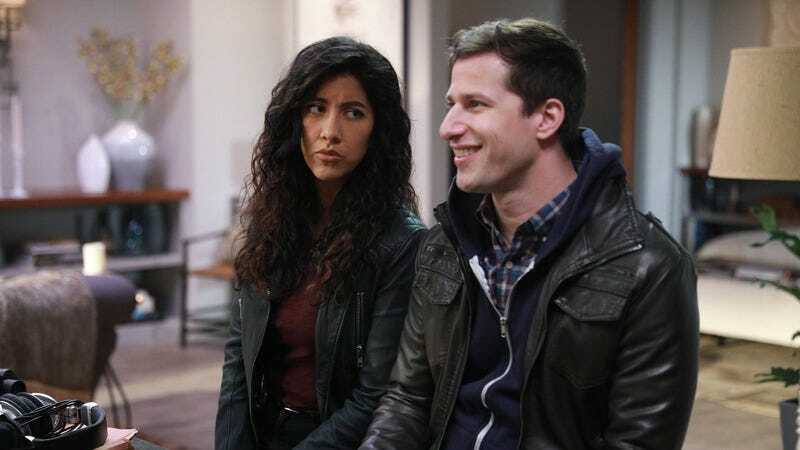 On Brooklyn Nine-Nine’s hourlong episode, Jake and Rosa try to expose Gina Gershon’s Lieutenant Hawkins, Ryan Phillippe guest stars as a Gina love interest, and Jason Mantzoukas is back as Pimento. Great News (NBC, 8 p.m.): Or you could head over to NBC, where Great News finishes up its inaugural season with the arrival of a visitor—Greg’s Gram—who has the power to threaten the Breakdown team. Casual (Hulu): Hulu’s comedy executive-produced by Jason Reitman is back for a third season of Los Angeles-set self-searching, complete with storytelling classes. The new episodes will feature Judy Greer, who is always a welcome presence.